These two! They kept climbing on each other and it was driving me crazy… until I saw this shot! 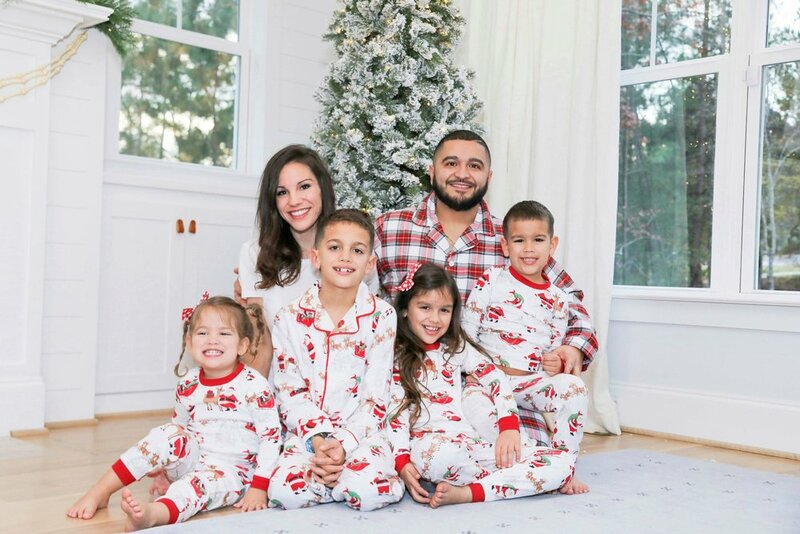 All my favorite Christmas pajamas in one place! If you saw my stories on instagram I was sharing a few good deals of Christmas jammies ($10!) and knew I needed to put these all together. So here are all the holiday pajamas speaking to me this Christmas! Also - so many of these come in a baby/toddler/big kid versions of the pajamas you see here, and I tried to include plenty of unisex pajamas! A few have adult versions if you’re just really extra! I have found that typically stores will have sales on Christmas pajamas up until Thanksgiving/Black Friday… and then they are more difficult to find because sizes sell out. Budget options for you are numbers 2, 6 , 10, 11 + 17. My favorites are so many… but especially 1 (on big kids this is adorable! ), 11 + 16. 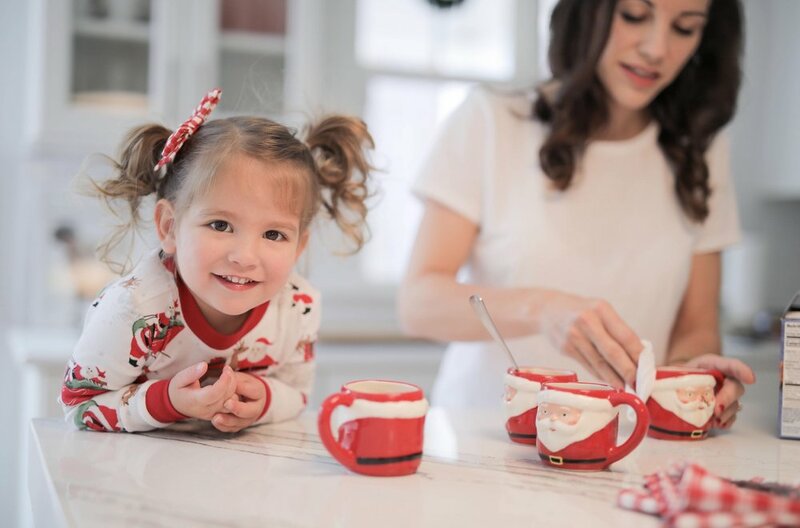 Speaking of our favorite pajamas, we did a little shoot for Pottery Barn Kids this week, and the kids thought Christmas came early when I told them they were going to stay in their pajamas all morning and squirt whip cream on their hot cocoa + pancakes!